Mary and Don Wilson, Flushing Area Historical Society Director and Treasurer respectively, will be our hosts and guides when MARP members gather on July 20 at the former railroad depot in Flushing MI. 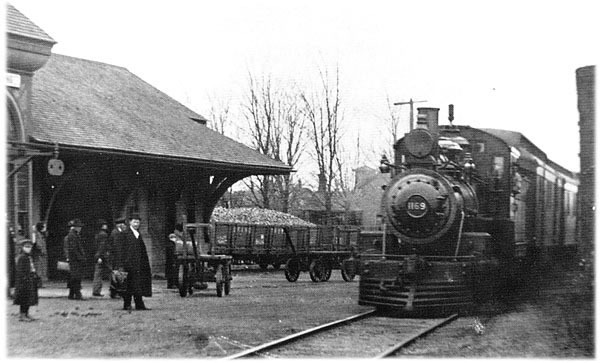 The Flushing Depot was built in 1888 and provided passenger service until 1971. In 1975 it was converted to the “Depot Restaurant,” but in 1980 a fire gutted the building leaving only the outside walls standing. In 1984 the former owners donated the remains of the building to the Flushing Area Historical Society. Under the leadership of Paul Wightman, the Depot was restored to its former appearance and opened as the Flushing Area Museum and Cultural Center on June 7, 1997. The Museum has parking for about 17 cars, with plenty of street parking on Emily St. We have been asked to please NOT park at the businesses on the other (west) side of the railroad track. Following the business meeting, we will adjourn for lunch at Kathy’s Restaurant and Lounge , 126 E. Main, 3 blocks from the museum.